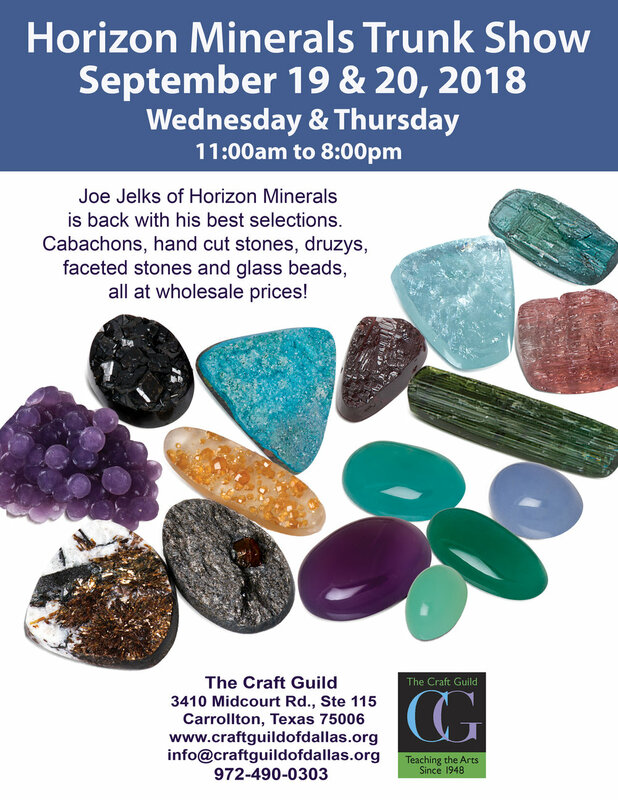 Quarterly Craft Guild Members Swap Meet ! At times it seems that as a member of the Craft Guild, it is almost a requirement that you have an abundance of tools that you never use and supplies for projects that you never get started on as well as tools or supplies that you need and haven't purchased yet. This is not even bringing up Stones, Glass, Paper.... You all know that there is no such thing as 'too many stones, or too much glass'. With this in mind the Craft Guild will be having quarterly 'swap meets' that will be held in the glass studio. Come with your excess tools or supplies and trade, sell, buy or just browse. No booth fees to worry about. If you sell something you collect the cash. Sort of like a family garage sale. There is no fee and no need to pre-register for this, just show up with your 'stuff' and have fun!